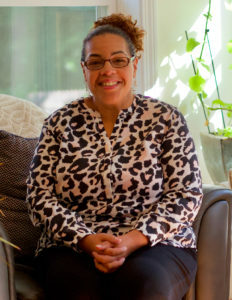 “I was really surprised at the amount of work that they did in my home. They changed our lights to LEDs, they caulked and foamed, they checked my heating system, and they gave us information on more ways to save money. I decided to take their advice and get insulation, and I was so happy when I found out my co-pay was only $150 dollars. That was awesome because with my kids, work, and life I didn’t have a lot to spend on insulation. After they insulated my house in March of 2017 we started to notice that our heat came on less frequently, but we still felt warm. My kids’ room is next to the attic, so we noticed a difference immediately. They worked professionally, and were very easy to have in the house. Very informative and they plugged every crevice and weather stripped every door that mattered. Energy Efficiencies Solutions of Windsor, Connecticut did an energy audit on my house in West Hartford today. EES #1 in the Nation! 2013 recipient of the United States of America Department of Energy Award for Customer Relations and Leadership! 2013 Capital Workforce Partners Workforce Star Employer of the Year! Consistently Exceeding Every Connecticut Goal for MMBTU Reduction and Safety! EES is the Best! Offering Experienced BPI certified staff, dedicated to Quality, Integrity, and Service. Home Energy Solutions (HES) assessment includes a safety inspection, installation of efficient specialty lights, installation of low flow shower heads & faucets, testing and sealing of heating and cooling ductwork and systems, blower door test and prioritized foam air sealing, installation of quality door kits, caulking of windows, a full report of services, ROI energy saving upgrade report and rebates. Call 860-580-9076 to get started Saving Energy and Dinero today! For a small co-pay EES will assess your home or apartment and complete the spot improvements. You have paid into the fund! We encourage you to take full advantage of the states Energy Saving programs today! 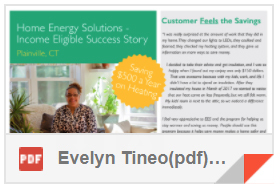 EES can save you between $300 - $1000 annually in one visit.